Illuminations will be a concert of uplifting music for chorale and orchestra celebrating the final day of the Catholic Church’s Jubilee Year of Mercy. 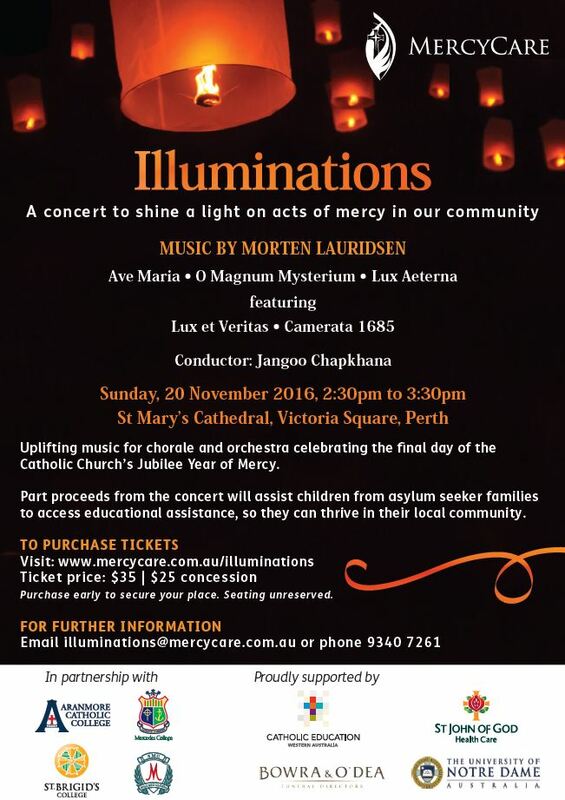 The concert will run from 2:30pm to 3:30pm and is to be held at St Mary’s Cathedral, Perth. Part proceeds from the event will assist children from asylum seeker families to access educational assistance. For more information, please see the flyer below. Tickets can be purchased from www.mercycare.com.au/illuminations.